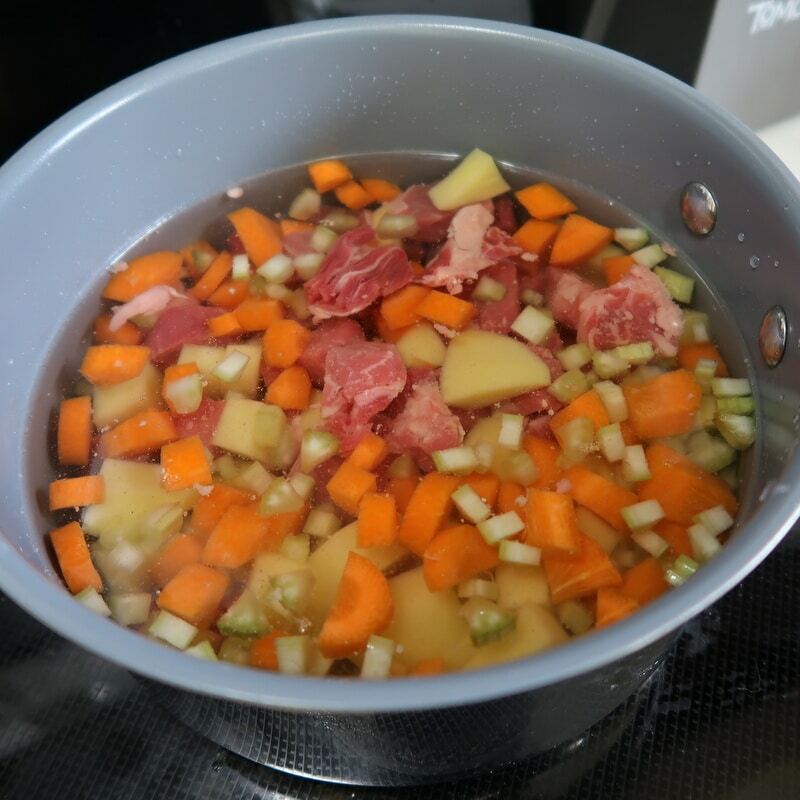 Today we are making Beef Stew for Dogs as a Kong Filler recipe! You guys have been asking us to do more Kong treat filler recipes so I figured this would be a fun one! 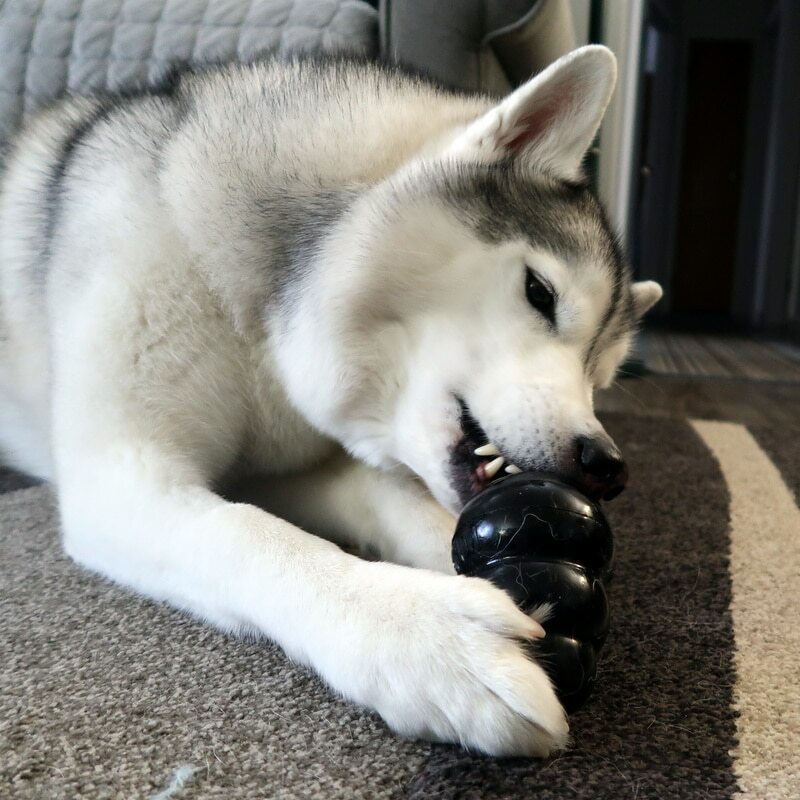 Kong toys are a great way to keep your dogs entertained, and to get them to exercise their brains on how to get their treat out of their toy! Homemade Kong Filler recipes are simple and fun! Chop up all of your ingredients. Place them into a pan and just barely cover them with water. Simmer all ingredients together for around 40 minutes, or until everything is tender. To thicken your stew add a bit of cornstarch mixture to it, and bring it to a boil. 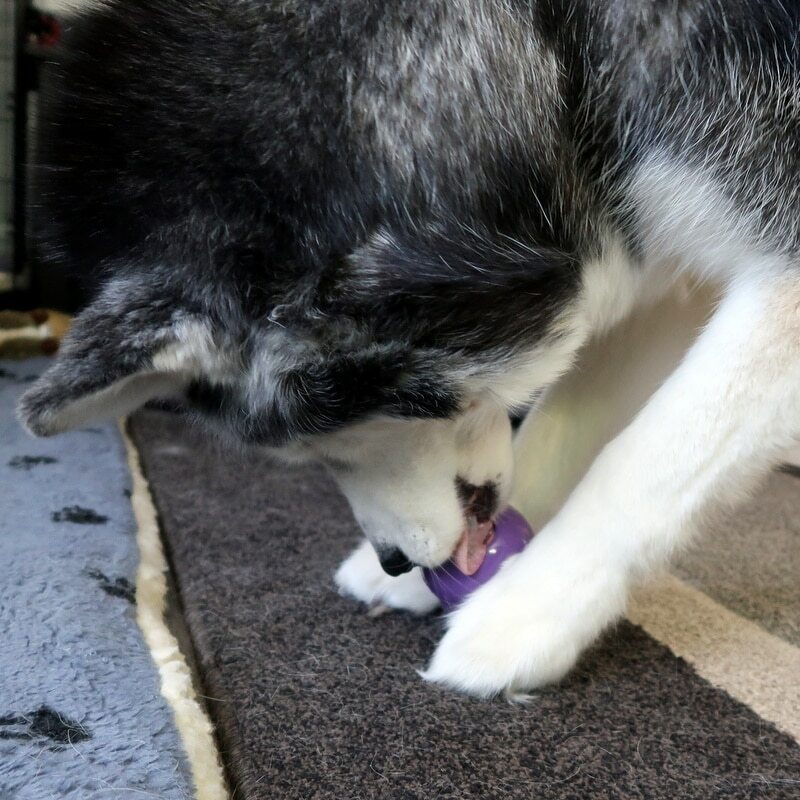 Once everything is thickened, you can fill your Kongs. 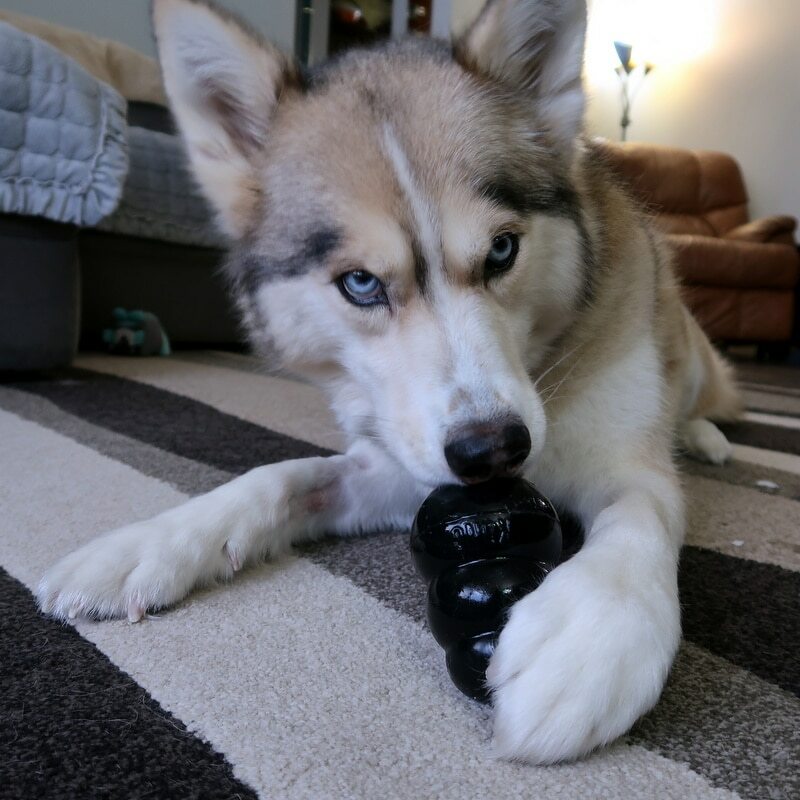 Take a small piece of potato and plug the small hole on the Kong before you try to fill it. This will stop everything from leaking out. Now slowly spoon your filling into the Kong. 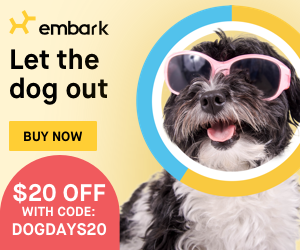 You can give it to your dogs as is, but it will be messy. 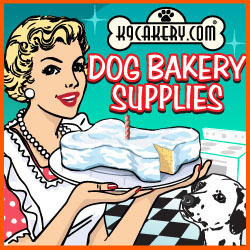 I advise placing them in the freezer for 2 - 3 hours (or longer), to not only make it less messy, but to make it so your dog has to work harder to get their treats! 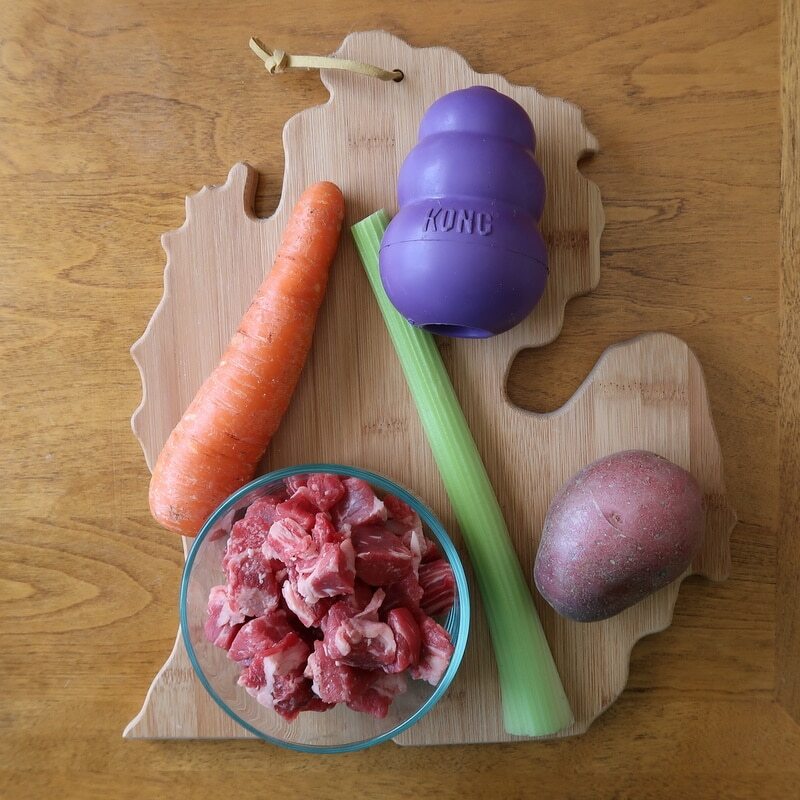 Now it's time for the dogs to taste and enjoy these DIY Beef Stew Kongs! We hope they like them as much as ours did! 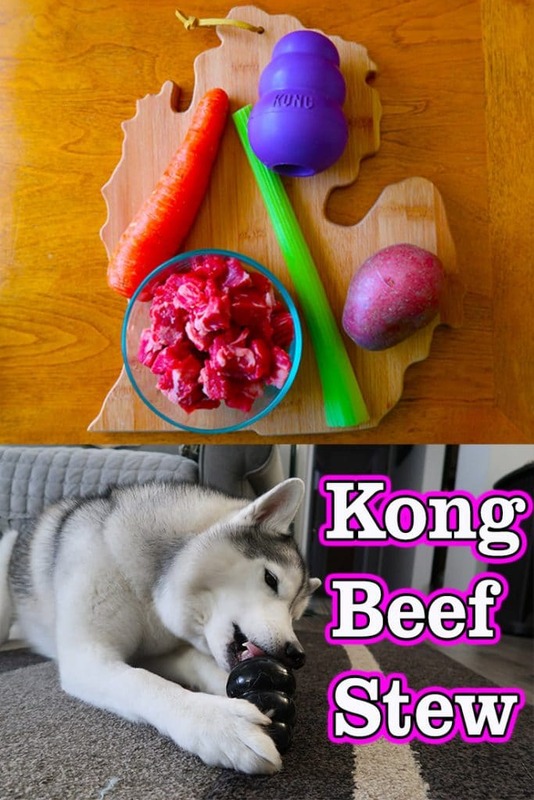 Hey Buddy!, I found this information for you: "DIY Beef Stew Kong for Dogs". 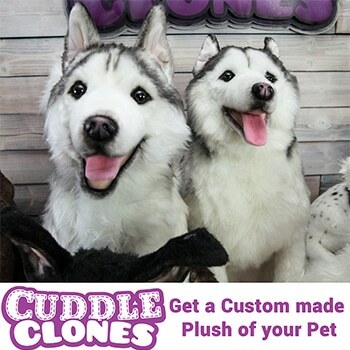 Here is the website link: http://www.gonetothesnowdogs.com/beefstewkong/. Thank you.